Teaming together with the Sea Palms Resort, we’re planning the ultimate girls night out! 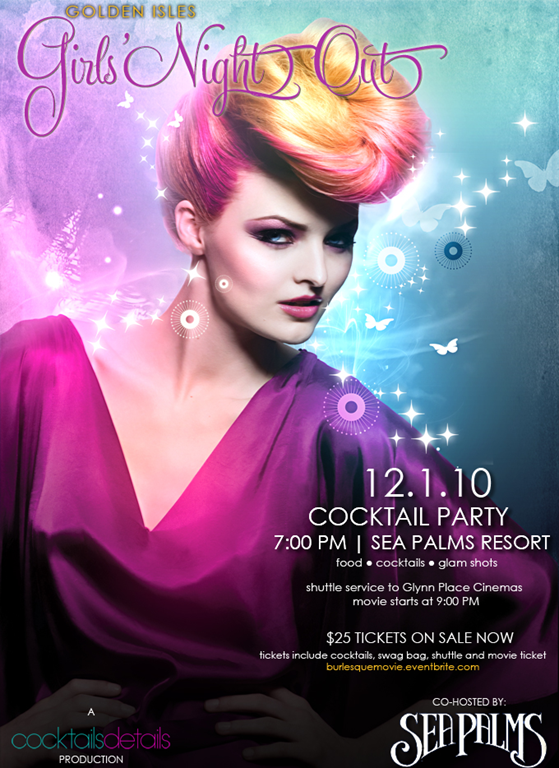 Join us for a pre-screening cocktail party at the Sea Palms at 7:00 PM on December 1st for mini makeovers, signature cocktails, delicious apps and glam shots! The DJs of Island Sound will provide the entertainment, while the uberfab stylists from Image Artisans will work to glam up your look. There will be prizes and giveaways, and each attendee will receive a swag bag full of goodies from local merchants. We’ll transport everyone over to the Glynn Place Movie theater for a private showing of the new movie Burlesque, starring Cher and Christina Aguilera. You’ll then be transported back to the Sea Palms where you can continue the party at our secret after party spot! To learn more about Golden Isles Girls Night Out, visit the website, like us on Facebook or follow Golden Isles Girls Night Out on Twitter! If you’re a jetsetter like me, you enjoy clearing customs more often than you clear your throat. Frequent travel can be a little burdensome on the Prada purse, which is why I absolutely love Snique Away. Not so much for the deeply discounted, secret pricing, but also because each day is a new limited offer: some where new, unexplored, unchartered, and ready for you to enjoy. SniqueAway is your accomplice for stunning escapes. A brand-new private sale travel experience, that offers their members top brands and A-List accommodations at surprisingly affordable prices. 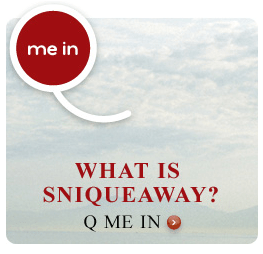 There is no cost to join SniqueAway, but an invitation is required. By limiting membership, they’re able to bring you exclusive rates on the world’s top hotels. Our limited-time-only sales showcase the sleek, chic, and always unique. Oh, and check out our pedigree: We’re part of Smarter Travel Media—a TripAdvisor Media Group company. TripAdvisor offers the world’s most trusted travel advice™. We take full advantage of their knowledge by bringing you the recommendations and guidance of millions of travelers. So it’s simple: Look, book, save, rave. Discover somewhere new each day or keep your eye on your favorite locale on the upcoming secret sale radar. Don’t worry—SniqueAway offers US and International Destinations! It’s also perfect for checking out the location of your destination wedding at a deeply discounted rate, which of course means more money for shopping. Even if you haven’t seen the beautiful face of Gay Whatley, the chief designer and owner of Cottage Flowers on St. Simons Island, chances are you’ve seen her work. Her beautiful floral concepts have been all over the bridal inspirationsphere: The Knot, Style Me Pretty, Elegant Island Weddings and more (even here!). She’s had the pleasure of working with a variety of brides from grand Sea Island events to small, personal in-home weddings, and I’ve loved them all. Gay was even honored to be personally picked to provide flowers for Governor Bill Clinton’s "Man of the Year" party in Arkansas! Gay is a fabulous floral designer that gently guides bridal couples and their families through their selections for their weddings that fit the overall event design scheme. My favorite part of the wedding day is seeing the bride’s face light up when she see’s her bouquet. I never leave the house for a wedding without a mimosa and my tool box. My one tip for couples getting married in the Golden Isles is: Just relax and let your vendors do the work. I hate to see a bride on her wedding day trying to put out place cards, fixing centerpieces, trying to oversee what is going on, etc. This is your day. Make it special: sleep late, eat breakfast in bed, have mimosa’s, get your hair and make up done, laugh large with your girlfriends and then put on that beautiful dress and stand in front of the mirror and just enjoy the moment. Your must-see or must-do for couples while in the area: The island is an experience that may be hard for everyone to get enjoy because of time. I think one the the best things one of my brides did for her wedding party and families was to rent the trolley for "welcome to the island" tour. She had it catered with fun snacks and refreshing drinks for the ride. We’re back again with Meet the Locals! This week, we are introducing you to Justin Henshaw of Island Sound, a local DJ company servicing St. Simons Island and Jekyll Island, as well as surrounding areas. Justin’ s a St. Simons Island native and graduated from Glynn Academy, c/o ’98. After high school, he moved away and lived in New York City for a few years. After the tragedies of 9/11, Justin joined the United States Marine Corps. In the infantry, Justin served in 5 combat deployments including Afghanistan, Iraq, the horn of Africa and Cuba. After his 5 years of active service he moved back to St. Simons Island to be closer to his family, go to college and started his own business called Island Sound. 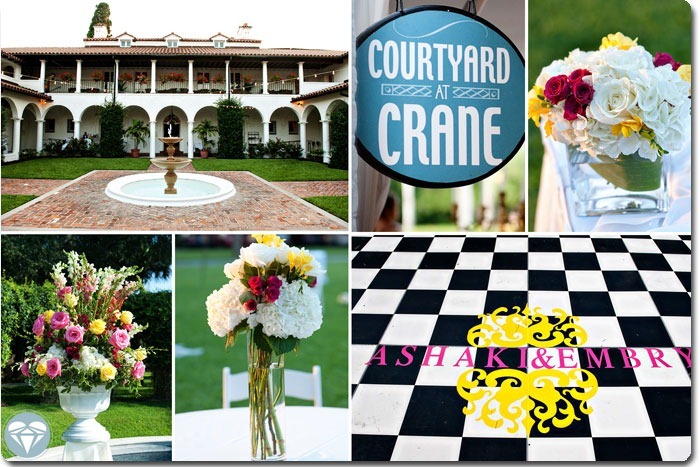 Island Sound is a mobile DJ and entertainment service that performs for weddings and private events throughout the surrounding areas. Justin will also be graduating in May with is BBA from the College of Coastal Georgia. He lives on St. Simons with his golden retriever Emma and is a member of St. Simons Community Church. He enjoys spending time with his family, good movies, the beach and being on the water. What is your favorite song for a wedding (ceremony or reception) and explain why. Unchained Melody by Righteous Brothers… best Love song ever! In fact, I want it to be my first dance song one day. Learn more about Island Sound by visiting their website, check them out on Facebook and follow them on Twitter! 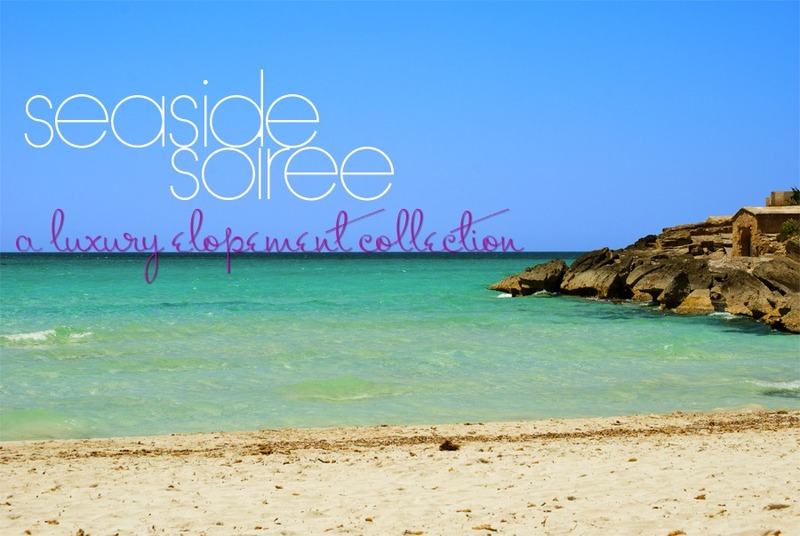 We are happy to announce a brand new collection at Cocktails + Details: Seaside Soirée. Seaside Soirée is our new elopement collection on both Saint Simons Island and Jekyll Island that we are so excited about! Our new luxury experience is a themed collection personally designed by Terrica Skaggs to showcase couples’ personalities and the beauty of the Golden Isles. This collection goes far beyond courthouse nuptials and cookie cutter packages, but includes a detailed custom design of fresh flower bouquets, locations, cakes and more. Getting married on or near the beach is a popular choice on Saint Simons Island and Jekyll Island. Seaside Soirée features a waterfront location, décor in complementary color palettes, as well as one fresh flower bridal bouquet, one boutonniere, a two tier beach inspired cake, delicious dinner for two and a two night stay at one of the area’s islands resorts. Upgrades are available for customization or extending the experience, which include honeymoons at sea on the beautiful Carnival Fascination ship out of Jacksonville, Florida. To learn more, visit our website or call us at 888.720.LUXE (5893) to book today! Our new series, Meet the Locals, will introduce you to some of the Golden Isles’ wedding professionals who service Saint Simons Island, Jekyll Island, and beyond. Because I simply adore them, I’ve asked them specific questions to bring out their awesome personalities and showcase their work. Enjoy! 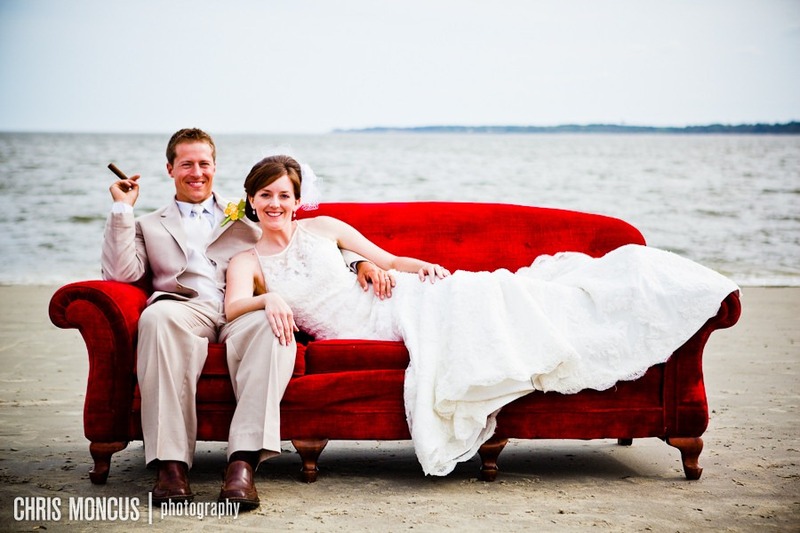 This week’s local, or “locals”, are Chris and Amanda Moncus of Chris Moncus Photography. (Doesn’t this picture just make you smile? I love it!) 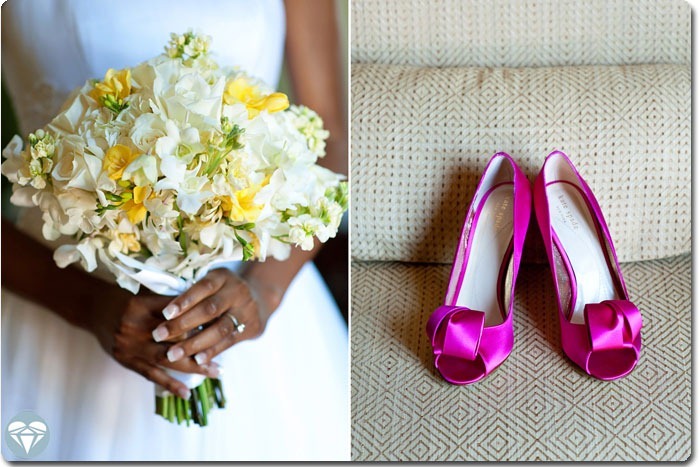 Chris Moncus Photography is the dynamic husband and wife duo of Chris & Amanda Moncus. We fell in love with photography right after we fell in love with each other. Rarely did a camera leave our side. After shooting our first wedding we were hooked and now years later here we are lighting up the Golden Isles. My favorite part of the wedding day is…seeing the love the couple has for each other – especially at the first look – and photographing it. I never leave the house for a wedding without my …(this is easy) camera. 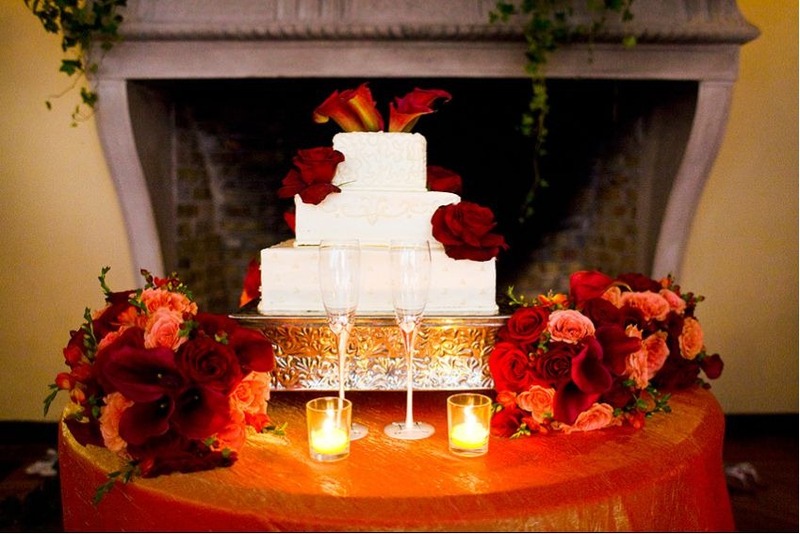 My one tip for couples getting married in the Golden Isles is: Get married in the late fall or winter. We don’t have super cold winters and this is the least booked time for vendors so you’ll have an easier time getting who you want. Don’t worry about the scenery either – Jekyll Island Club Hotel, Sea Island, and Epworth all maintain their lawns to be mostly green year around. A must-see or must-do for couples while in the area: Must-see… The sunrise at driftwood beach. Must-do: Relax in the St Simons village. A picture of our favorite wedding day image and why: Ok so here’s the deal. I feel like a parent… I can’t choose which kid (picture) is my favorite! Wanna help? See more of Chris and Amanda’s work on their website and follow them on twitter! Like Us on Facebook for a Special Gift! 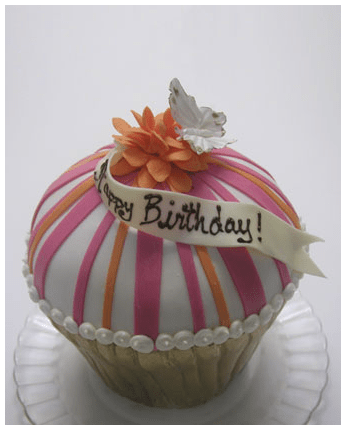 Some one is celebrating a birthday soon at Cocktails + Details! To celebrate, we are offering gifts for all new clients who book in October. Check it out–Like us on Facebook and get the goods! Happy Birthday cake is a miniature cheesecake with shortbread crust wrapped in white/gold-tone imported Belgian chocolate by Horchow, $200. We had the pleasure of assisting Emily + Scott with their wedding at the Saint Simons Island Lighthouse and the Museum (the A.W. Jones Heritage Center). It was a sweet and intimate gathering of family and friends—with great food provided by Straton Hall and music by Island Sound. Emily + Scott originally met as “models” taking pictures for the neighborhood they lived in, The Woodlands of Athens. I love that Emily says, “5 years have passed and we are still drunk on each others love.” That being said, I am so very impressed with how the photographers of Once Like A Spark captured the playfulness and romance between the two of them. If you’ve never been to our area—you are truly in for a treat with our islands, Saint Simons, Jekyll Island, Sea Island and Little Saint Simons Island. Tucked away off of the Georgia Coast, is the perfect getaway without “actually” going away. These islands are perfect for those who love the concept of a destination wedding, but want to make sure that their guests are able to attend their wedding without spending a lot of money for travel. Each island offers something for everyone—Jekyll Island is a quiet, natural island full of beauty and history. It is the home to the historic Jekyll Island Club Hotel, the al fresco Beachview Club, as well as the quaint Villas by the Sea with Straton Hall, and the large beachside Jekyll Island Convention Center. Saint Simons Island is a true vacation island? ?home to the historic seaside dance club turned uber resort King and Prince, luxurious Ocean Lodge, other sprawling estates like Villa de Suenos and several boutiques and restaurants. Sea Island is home to the ultra exclusive Cloister that is an experience all its own. Enlist the help of a planner. 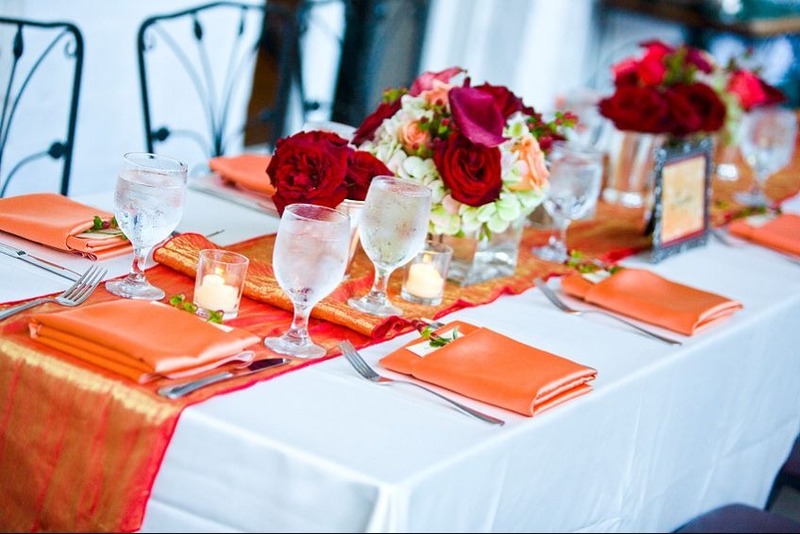 A planner will be able to steer you to the perfect vendors according to your budget, event vision and style. It’s great for you to have what we call “boots on the ground” to work as a liaison for you and your vendors—share your likes , dislikes and event vision. Your planner will most likely work with many of the local vendors as well as have a list of those that travel to the area. Get to know your vendors ahead of time. With the help of the internet, you can research your vendors before you come to the area. This means checking out their rating on sites like Wedding Wire or Project Wedding from previous couples. We’ve listed some local wedding pros that use Twitter and it might be helpful for you to read their blogs or Facebook business pages. This gives you the opportunity to get to know them before you meet you visit the area. Make a planning trip to the area. Trust me, you’ll fall in love with the area. If you haven’t narrowed down your choices on a venue, plan to spend one day on one island and the next on the other. Be prepared to take some time off—with our area being a destination wedding area, most of your event pros are working on Fridays and Saturdays, and their offices close on Sundays and Monday. Experience the area. Take as many pictures as possible and visit some of the sights— like the St. Simons Lighthouse, Downtown Brunswick and sandy beaches of Jekyll Island. Your guests will rely on this information during their stay, so it will be helpful for you to have information about what’s nearby, the must-sees and dos, as well as some places to catch some rays, enjoy some southern cooking or a martini and good music. These tips should get you started with your upcoming wedding Saint Simons, Jekyll Island or Sea Island. We hope to work with you soon!